The high filmfaced coating on both sides of about 335 g/m² avoids to a large extent the penetration of the wood grain on the concrete surface. 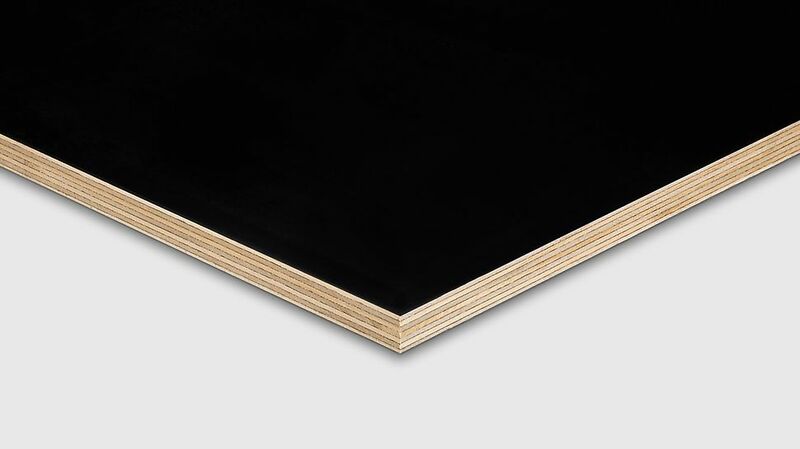 The PINE Premium plywood panel can be processed and cut well and offers many advantages during utilisation due to its low weight. The construction consists of 7 crosswise bonded pine veneers with wbp (water boiled proofed) bonding.